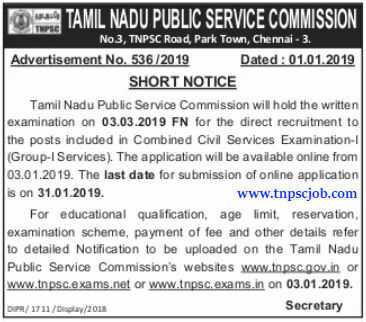 Most awaited TNPSC Group 1 Notification Released Just now. The Paper advertisement is published. We will update the vacancy and Other details Shortly. The vacancy of the Group 1 Exam 2019 has revised, the vacancies are increased from 139 to 181.